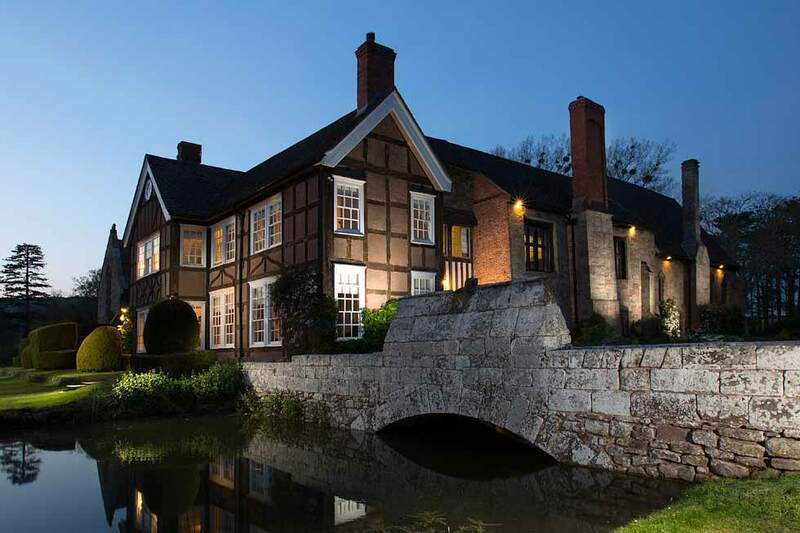 Brinsop Court is a stunning medieval manor complete with its own moat and a uniquely contemporary twist, set a private 800 acre estate in the rolling Herefordshire countryside. 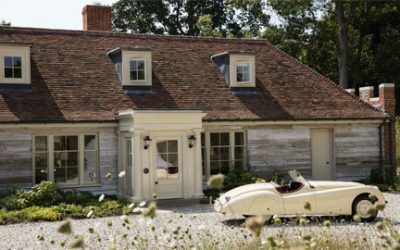 Enjoy lavish country luxe interiors, complete seclusion and magnificent historic features in your very own country playground. 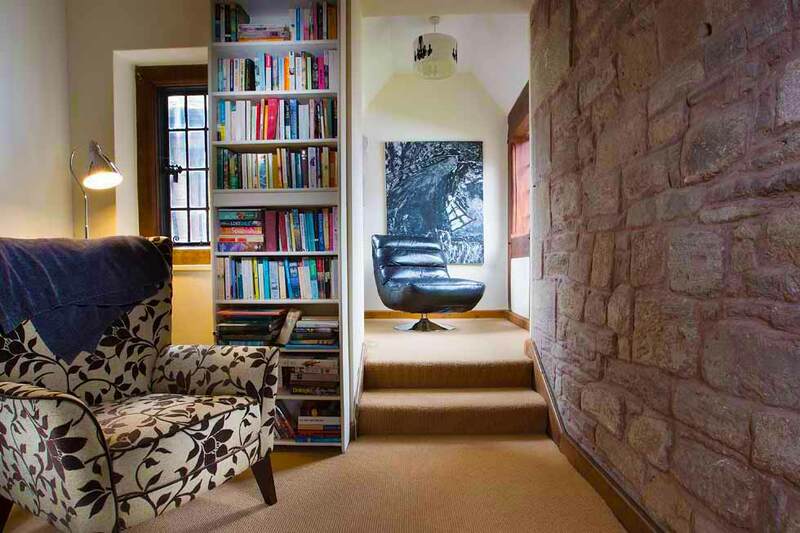 Every inch of this amazing property has been thoughtfully restored, full of character and elegance yet offering every comfort for modern living. The opulent furnishings create a wonderful mix of old and new, and a truly relaxed and welcoming feel despite all of the grandeur and space. 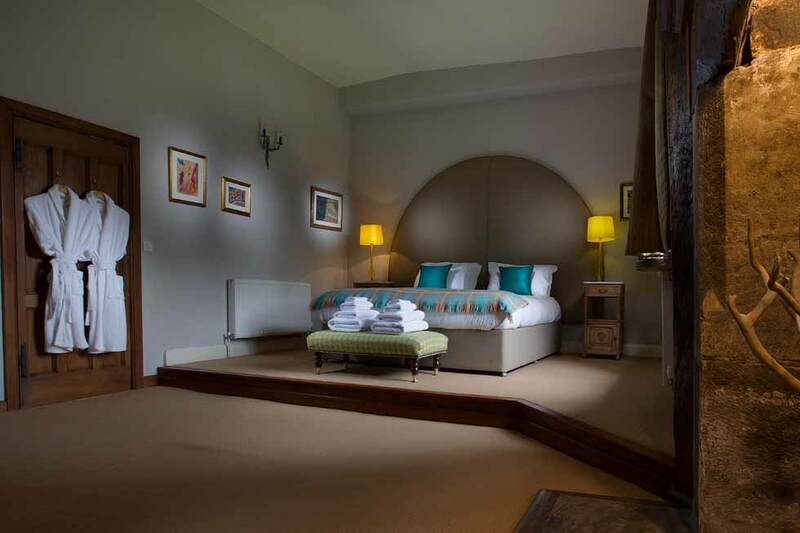 This is a house for country living at its finest – pull on your wellies and explore the countryside, relax by the fire on sumptuous sofas or throw a fabulous celebration, the choice is yours at Brinsop Court. 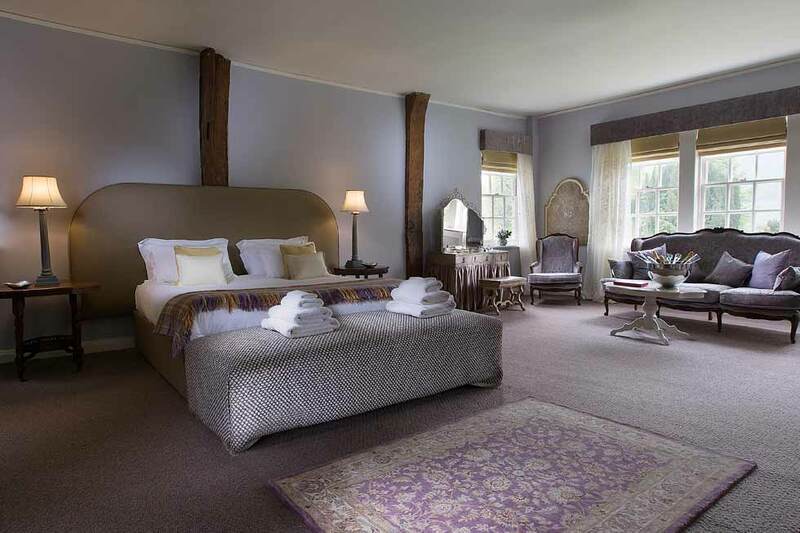 Brinsop Court is set in a 800 acre estate in Herefordshire, a magnificent medieval manor encircled by its own moat, it offers real wow factor from the moment you arrive. 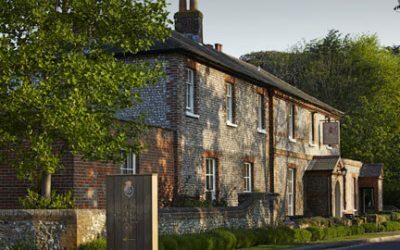 Surrounded by rolling countryside as far as the eye can see, this beautiful country estate offers complete privacy and seclusion, along with excellent opportunities for outdoor activities or idyllic country walks. 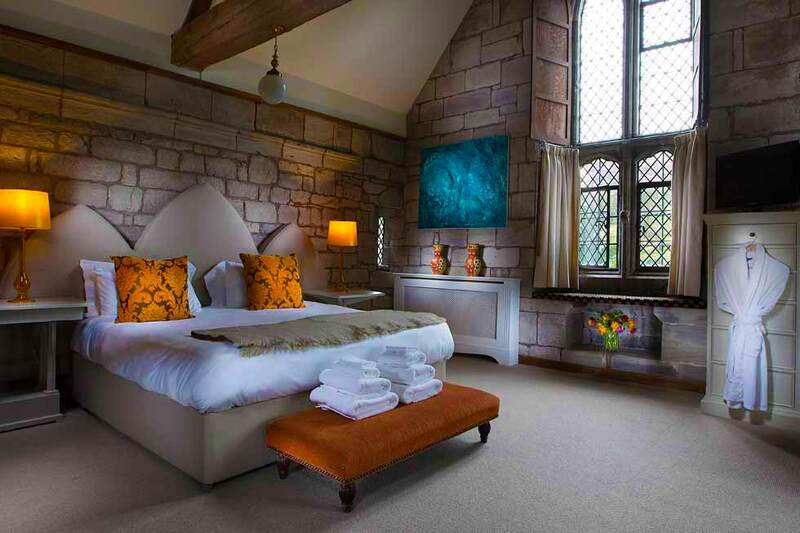 Brinsop Court offers 15 luxurious double bedrooms and 3 single bedrooms to accommodate up to 33 guests, most rooms are en-suite with a total of 14 bathrooms in the property. All double bedrooms can be arranged as twins offering great flexibility for groups, and the interiors are stunning throughout the entire property with a wonderful combination of traditional features and contemporary touches. 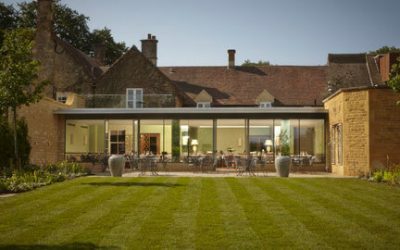 Explore the photos of Brinsop Court here, including the beautiful setting, enchanting grounds, elegant interiors and function spaces. 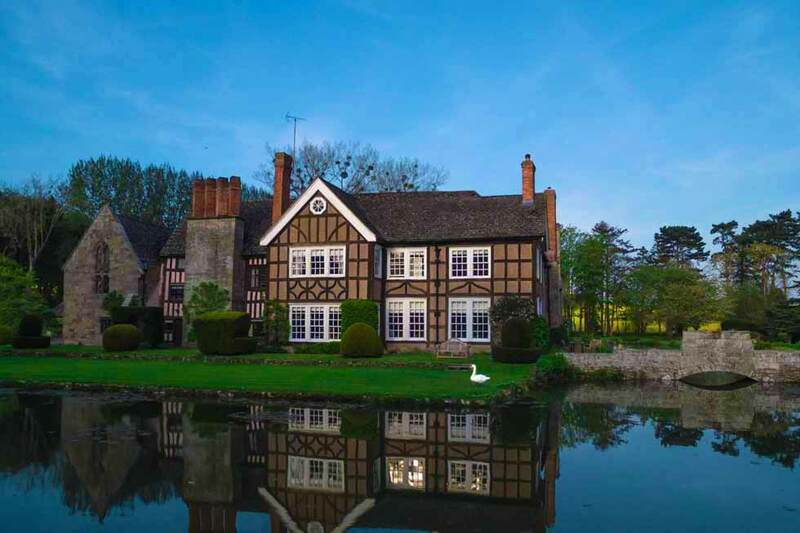 Find out more about prices to rent this magnificent manor house for up to 33 guests here, along with details about prices for large events and weddings. Brinsop Court is in the hamlet of Brinsop, about 5 miles North West of the beautiful city of Hereford. To the West lies the Welsh Borderlands and Marches. Central London is just under 3 hours by car, Birmingham is around 1 hour 30 minutes. The nearest train station is at Hereford, with trains taking as little as 2 hours 37 minutes from London, direct trains from Birmingham New Street take 1 hour 30 minutes. Brinsop Court utterly blew me away when I visited – from the idyllic surroundings to the fabulous moat around the property, it feels like something from a film set. 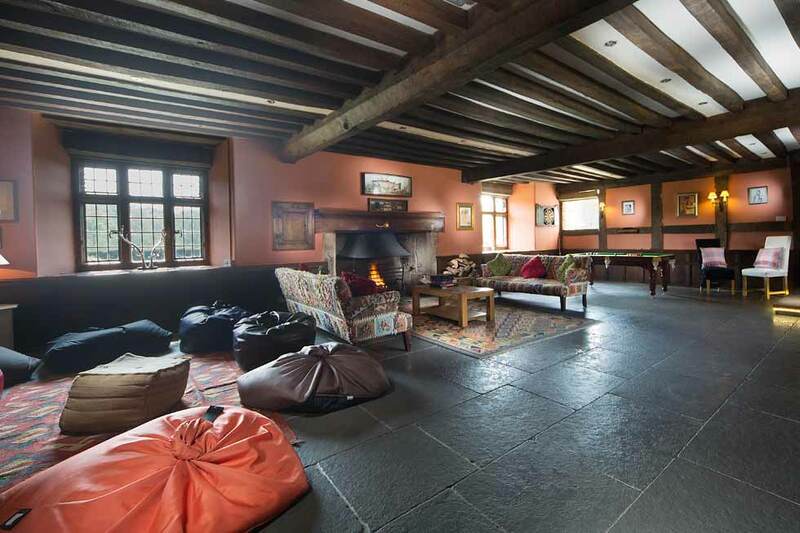 The interiors are truly stunning and luxurious, and the scale of the Court is immense, every single room offers space in abundance yet it feels homely and welcoming with cosy fireplaces and lots of natural light. The bedrooms offer serious wow factor and luxurious furnishings, and the luxury contemporary bathrooms are all beautifully finished. 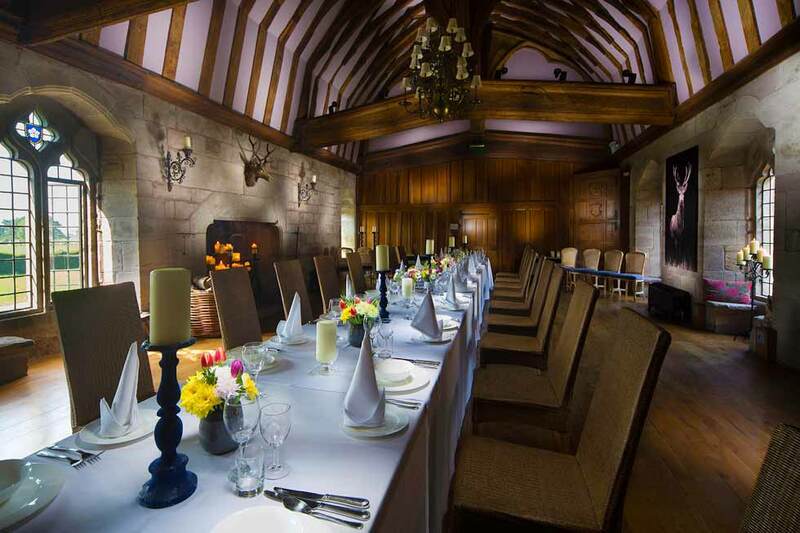 Brinsop Court is the perfect choice for groups with plenty to entertain and delight young and old alike, and the Banqueting Hall is one of the most amazing rooms I have seen for a special celebration!